Zip Lining is a popular adventure sport that has become a vacation activity in many countries. It consists of a pulley attached to a rope, usually made of stainless steel that is suspended at a height. The rope is at an incline, so that a person attached to the pulley can slide down the rope from one end to the other. For children, the rope can be at a low height in a playground, while zip lines for adventure enthusiasts can be at a great height, somewhere in a rainforest in Costa Rica. Zip Lining is also known by other names, such as zip wire, aerial runway and popularly Flying Fox. 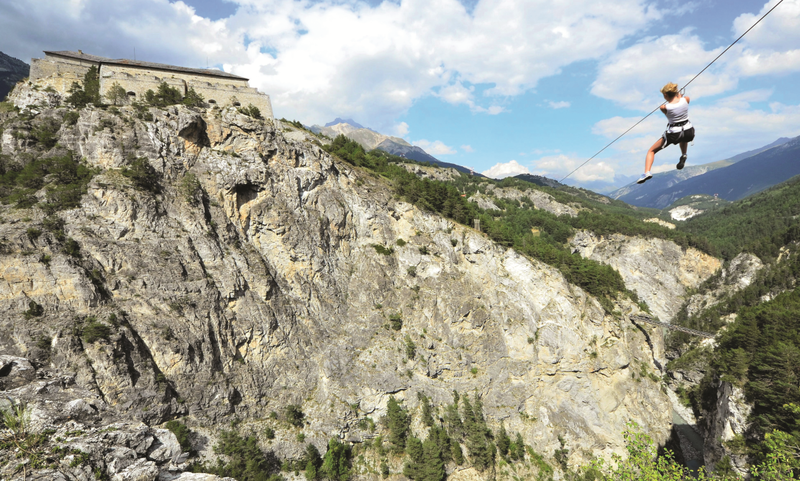 Historically, zip lines have been in use to transport people and supplies from one end to another in inhospitable regions and in rescue operations. There is always a slight risk involved, but sometimes becomes the only means to a recovery. For instance, in the recent flooding and subsequent landslides that took place in the northern mountains of the state of Uttarakhand, this rope-pulley system was used by the Indian Army to ferry stranded pilgrims from one mountain side to another. Zip lining is a popular tourist recreation in many countries across the globe. In recent years, with the entry of international equipment with high safety and quality standards in the market, it has become a favorite pastime for tourists in certain destinations. Known commonly in India as Flying Fox, there are many tourist sites where people can enjoy this sport safely with their friends and family, including children. The Neemrana Fort Palace, a beautiful heritage fort-turned-hotel on the Delhi-Jaipur highway in Rajasthan, offers its guests this popular sport. The daredevils are taken to the top of the hillock and strapped to the rope. The panorama of the village below and the magnificent fort is breathtaking. 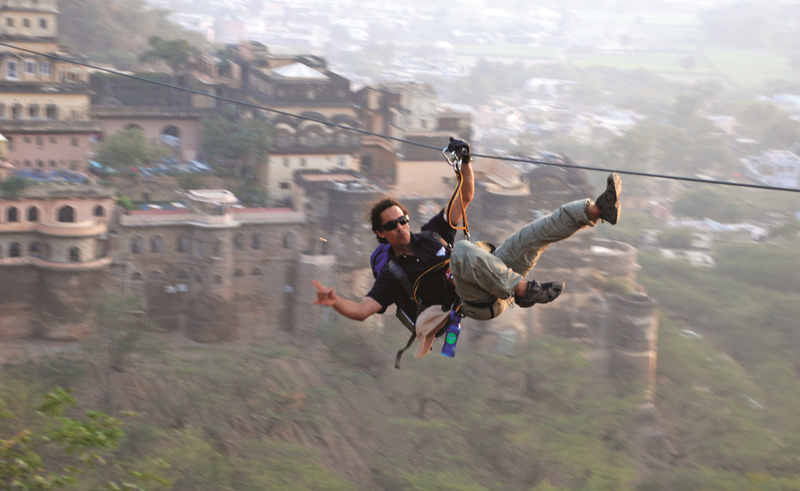 Zip lining activities also take place in the misty hill station of Mussoorie, in Mehrangarh Fort in Jodhpur, Kikar Lodge in Punjab, Kerwa Dam in Bhopal and many more holiday spots. Shanti Travel offers tailor made trips to many of the above destinations. Contact us today to design a memorable trip. Next Post Experience Old Delhi on a bicycle!